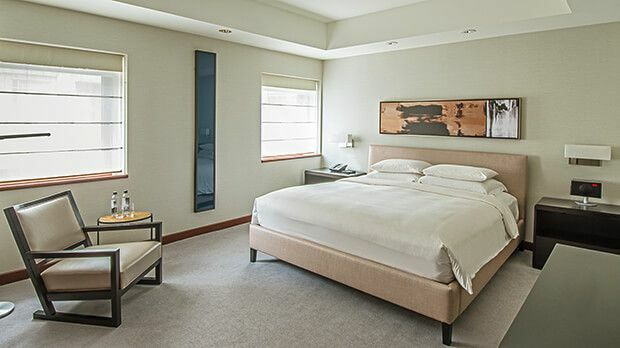 The Park Hyatt Chicago is ideally located on Chicago's famed Magnificent Mile, a stretch of Michigan Avenue that houses the most prestigious shops, restaurants, and museums in the city. The hotel is only 30 minutes by taxi from both of Chicago's major airports, Midway International and O'Hare International. 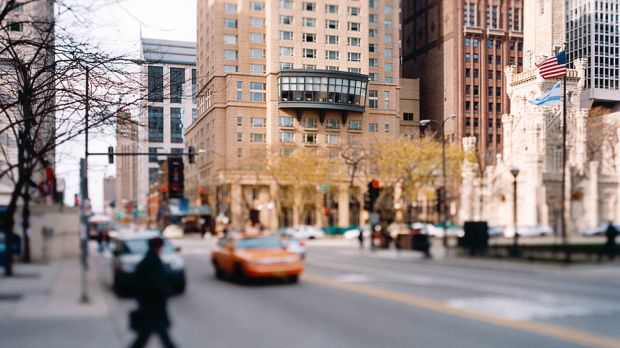 Located on the Magnificent Mile, the Park Hyatt Chicago puts the city's attractions within your grasp. Walking out the doors, you'll find yourself surrounded by the architectural marvels for which the city is famous - the clock tower of the Wrigley Building, the massive John Hancock Center, and the Water Tower, one of the only buildings to survive the Great Fire. The hotel is just steps from luxury shopping such as Saks Fifth Avenue and Neiman Marcus. Inside the hotel, the amenities mirror its magnificent location. The rooms offer stunning views of Lake Michigan or the city skyline, decorated in rich dark fabrics and woods to evoke a mood of sophistication. After a day of sightseeing, take advantage of the indoor lap pool, or have a massage and pedicure at the Tiffani Kim Institute. For the ultimate indulgence, savor traditional French cuisine in the elegant atmosphere of NoMI, named one of world's best hotel restaurants by Food & Wine magazine. 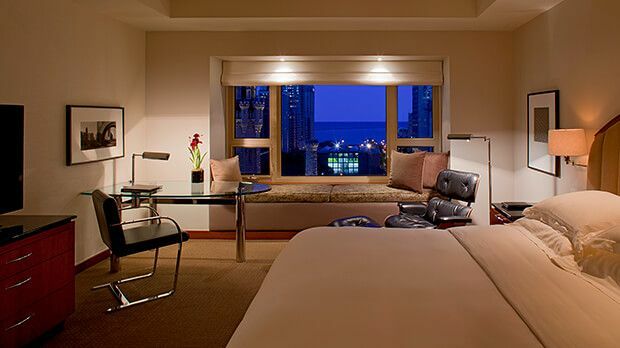 Send an availability request with your requested dates to the Park Hyatt Chicago. Features 1 King bed, customized LaLabo amenities, courtesy car, customized La Labo amenities and a location on floors 3-9. Features 2 Double beds, customized LaLabo amenities and a location on floors 3-9. Features 2 Twin beds, butler service and courtesy car. Located on floors 3-18. Features 1 King bed, large tub and customized LaLabo amenities. Located on floors 8-18. Features 1 King bed, robes, courtesy car and customized LaLabo amenities. Located on floors 3-9. Features 2 Double beds, courtesy car and customized LaLabo amenities. Located on floors 3-9. Features 2 Double beds, courtesy car and customized Le Labo amenities. Located on floors 10-18. Features 1 King bed, courtesy car, robes and customized Le Labo amenities. Located on floors 10-18. Features 1 King bed, lake view, courtesy car, robes and customized Le Labo amenities. Located on floors 10-18. Features 2 Double beds, lake view, courtesy car and customized Le Labo amenities. Located on floors 10-18. Features 1 King bed, outdoor balcony courtesy car and customized LaLabo amenities. Located on floor 3. Room with 1 King bed, outdoor balcony, butler service, customized La Labo amenities and courtesy car. Features a King bed, concierge service and oversize tub. Located on floors 3-6. Features 1 King bed, concierge, oversize tub and customized LaLabo amenities. Located on floors 3-6. Features 1 King bed, customized LaLabo amenities and oversize tub. Located on floors 10-12. Features 1 King bed, concierge and oversize tub. Located on floors 10-12. Features 1 King bed, bathroom with over-sized tub and customized LaLabo amenities. Located on floors 13-14. Features 1 King bed and customized LaLabo amenities. Located on the 15th floor. Features 1 King bed, oversize tub and customized LaLabo amenities. Located on floors 13-14. One bedroom suite features 1 King bed, dining room, oversized bath with sunken tub and lake view. One bedroom suite features 1 King bed, foyer and bar, dining area, sunken tub and an oversize bath. Features a foyer, powder room, fireplace, dining room, sunken tub and oversize bath. Features a foyer, powder room, fireplace, dining room, sunken tub and an oversize bath.